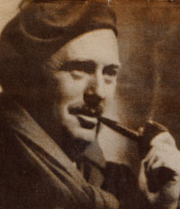 De Kruif made a significant contribution to Sinclair Lewis' novel Arrowsmith, providing the necessary medical and scientific information as well as some character sketches. Paul de Kruif is currently considered a "single author." If one or more works are by a distinct, homonymous authors, go ahead and split the author. Paul de Kruif is composed of 13 names. You can examine and separate out names.